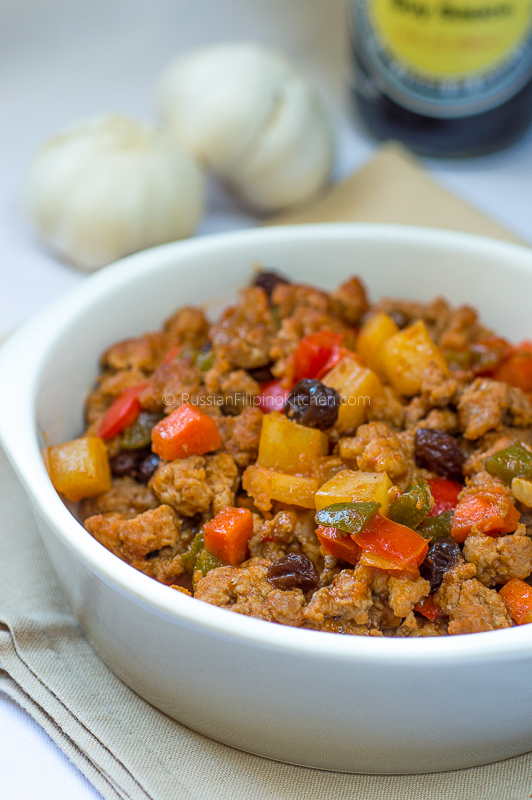 Pork giniling or giniling na baboy is a quick and easy Filipino pork dish that you can put together in 30 minutes or less. 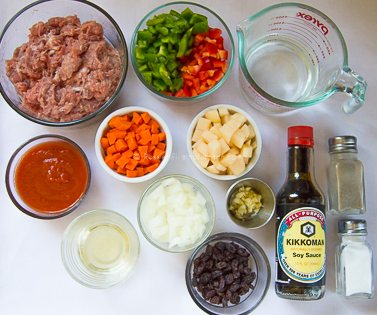 The only thing that takes a little time is prepping the ingredients, but the rest is very easy. 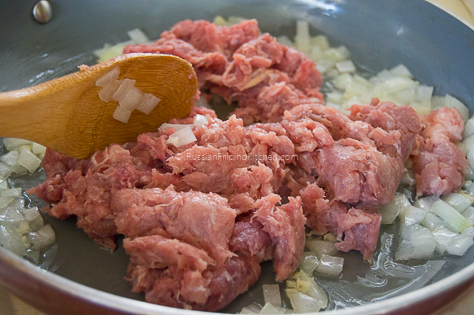 In Tagalog language, the word “giniling” refers to minced or ground meat finely chopped by a meat grinder. In Cebu, we call this dish “ginaling”. 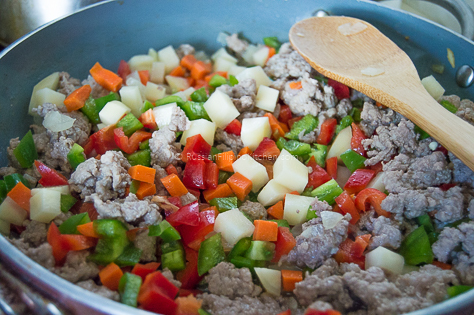 I have another recipe for beef giniling which is very similar to this one. 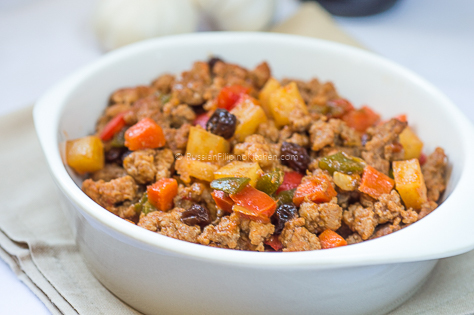 The only difference is the addition of raisins in my pork giniling recipe to give it that more traditional and authentic taste. 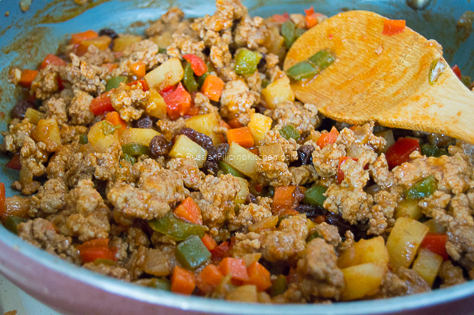 Now, this dish has a lot of variations depending on the region in the Philippines. 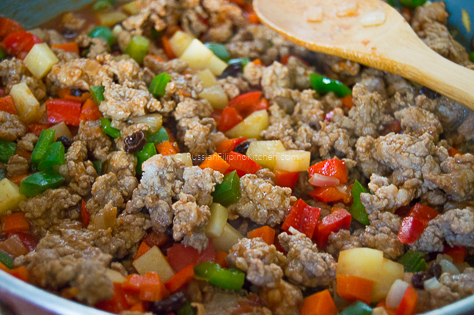 Some cooks make their giniling with fresh tomatoes instead of using canned tomato sauce. Others skip the raisins (I sometimes do). 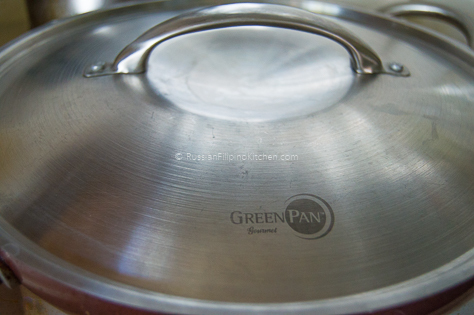 Or make it more soupy or drier (my preference). Regardless of how it’s prepared, this is one delicious dish that’s best eaten with boiled white rice. 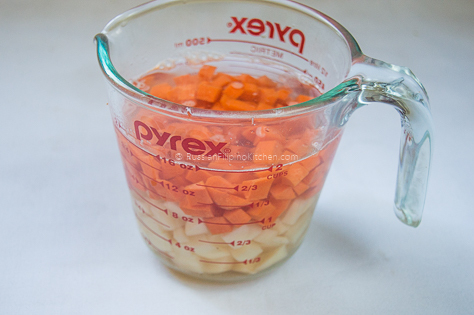 Soak cubed potatoes and carrots in 1 cup of water and set aside. 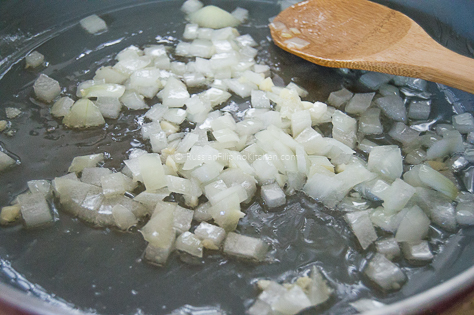 Heat oil in a skillet over medium high heat and saute onions and garlic till fragrant. 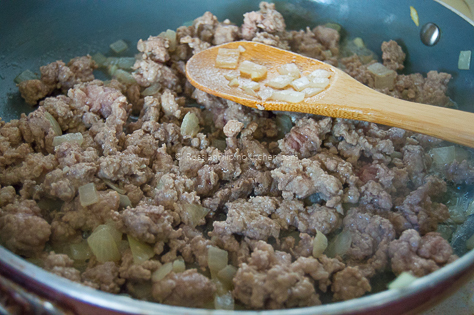 Throw in ground pork and saute till no longer pink. Add soaked potatoes and carrots, discarding water. 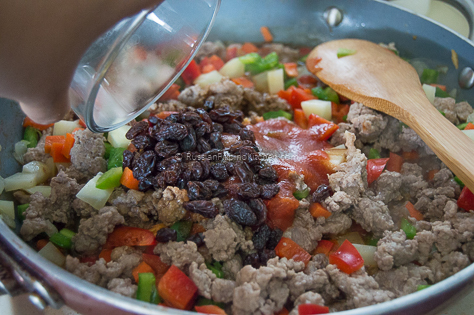 Add raisins, tomato sauce, soy sauce, salt and pepper, then mix. 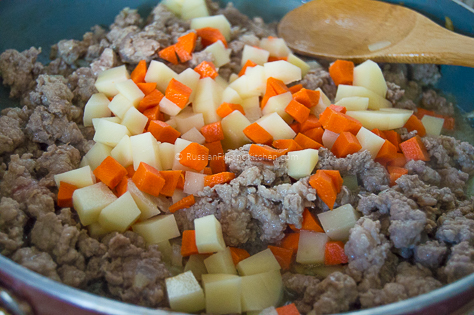 Cover skillet and simmer on medium heat for about 10 minutes, stirring twice till potatoes and carrots are tender, and most of the liquid has evaporated.